Workplace Strategies and Change Manager, Nigel Oseland, addressing delegates at the Green Building Convention 2017. Only 53% of wage earners think their place of work helps their productivity. And with good reason. The broad and ongoing Leeseman Index joins the dots between Maslow’s hierarchy of needs and the most common employee complaints about their surroundings. 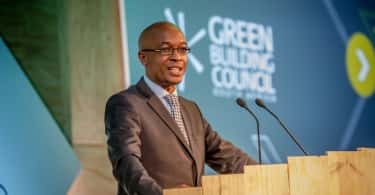 This is according to Workplace Strategies and Change Manager, Nigel Oseland, when he addressed the Green Building Convention 2017 held in Cape Town earlier this month and hosted by the Green Building Council South Africa (GBCSA). “Only once we meet our lowest level of needs can we go on to achieve our potential. It’s got to do with health at the bottom of the pyramid – so air, light and water,” explained Oseland. 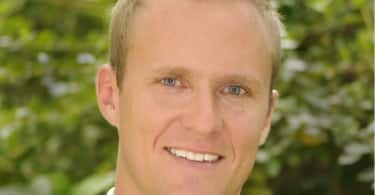 A quantified relationship between productivity and air quality, noise and temperature, established by more than 200 studies shows the average 5 – 7% increase in employee productivity easily covers any cost premiums of working in a healthy space that assists attention and concentration, Oseland said. “Our brains are stimulated by daylight,” Loftness continued, citing research linking exposure to morning sunlight to an improved sleep time by more than 30 minutes in six-year-old learners. In a separate study, poor performing learners slept 25 minutes less and went to bed 40 minutes later on school nights than good performers. In 2015 a double-blind office study on increased outdoor air ventilation rates and controlled VOCs identified a 42% increase in average cognitive scores when working in a green building, and 51% increase when in a ‘deep green’ building, verses a conventional building. “Besides increased worker performance, natural ventilation saves 20 – 40% of cooling, and 70% of ventilation costs. Net zero buildings will be designed for natural ventilation as the dominant ventilation and cooling strategy for every possible hour, enhancing productivity, human health and community,” she predicted. Typical improvements brought about a financial return of 756%. “Call centre agents had a 6 – 7% improvement in handling time simply by having seated access to views through larger windows with vegetation content, amounting to an ROI of 299%,” Loftness said, citing a study explaining why a visual connection to nature is important. It’s beyond dispute that people with access to the natural environment are healthier and it facilitates productivity. It is expected that future tenanting requirements will include above ground views, window and outdoor access, operable windows, natural ventilation, mixed-mode conditioning, daylight and indoor plants. “And, considering associated productivity gains, the payback period is sometimes measured in months,” she said. Tenanting requirements linked to the advantages of green buildings brought a strong response from property firms, including Growthpoint. 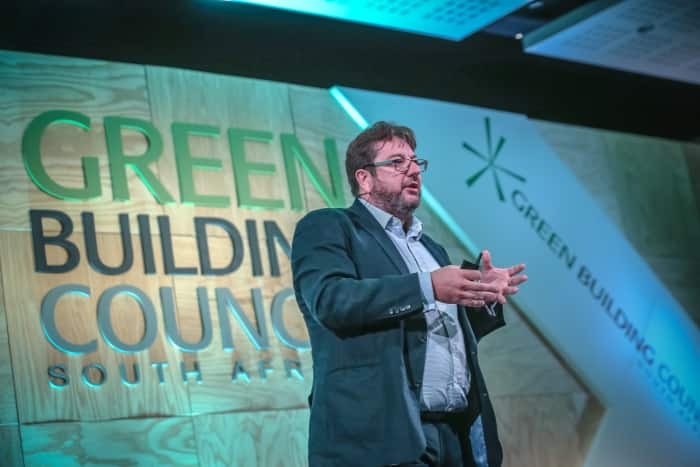 “By end-2017 Growthpoint will have at least a 4 Star Green Star certification for 100 of its buildings,” said Head of Sustainability and Utilities at Growthpoint, Werner van Antwerpen, at the convention. Whether or not your work environment helps, or hinders, your productivity and that of your team, it is likely no surprise that natural lighting and fresh air increases capacity for work. Although, who would have thought that the simple act of rolling up a blind and opening the window could make the difference between finishing your work promptly – or not? Design for peace and quiet: Most office work places are busy and distracting, designed for extroverts who, ironically spend less time in the office, and then not at their desks, says Oseland. What to do? Motivate that your inside spaces are designed for roles and personalities. Practice Shinrin-yoku: Take a leaf from the Japanese and go “forest bathing” to experience the medicine of simply being in the forest. It is a cornerstone of preventive health care and healing in Japanese medicine.